Can Hamlul stay the distance at Yarmouth? News broke on Sunday that both 2000 Guineas winner Saxon Warrior and the brilliant multiple Group 1 winning filly Alpha Centauri had retired following injuries picked up at Leopardstown on Saturday. The latter had been a short-priced favourite for the Breeders’ Cup Mile at Churchill Downs in November but, in her absence, it is now 5/1 the field with BetVictor with Sir Michael Stoute’s three-year-old Expert Eye and the French four-year-old Recoletos heading the market. The feature race at Yarmouth this afternoon is the near mile-and-a-half handicap for three-year-olds and the hope is that Hamlul (2.50) gets home over this trip having looked a non-stayer over an additional furlong at Newcastle back in July when looking the best horse in the race for much of the race. The selection then dotted up at Beverley – form franked by the runner up – over 10f before finishing third on soft ground at Goodwood from his revised mark last time. Richard Kingscote takes over in the saddle this afternoon and, back on a quicker surface, he can return to winning ways. Swindler (2.20) sets a fair standard on his Newbury debut when beaten a nose although the form is nothing special with only the seventh horse home (Luxor) a subsequent winner. William Buick takes over in the saddle this afternoon and Ed Walker’s string remain in good form. The Stoute debutant Mubakker is ridden by Kingscote with the owner’s retained jockey (Jim Crowley) riding at Lingfield. A number of Newmarket work watchers have suggested that Stoute has several decent juveniles, who have yet to see the track, and this grey colt is certainly bred for the job. A market move would be worth noting, but Crowley’s absence suggests he is not perhaps out of the top drawer. The previous winner Excelled carries a 6lbs penalty for scoring over C&D on debut at 20/1 which suggests her win came as something of a shock to connections. At Lingfield Annecy (2.00) is taken to defy her 4lbs penalty for scoring over C&D despite being tenderly handled by Jamie Spencer. 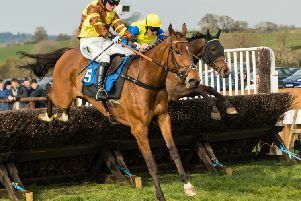 The filly is entitled to improve for the experience and with the David Simcock yard in good form she can follow up with Spencer again taking the mount. Crowley rides Margub for Marcus Tregoning in a the six-runner 7f handicap for three-year-olds but I just favour the owner’s “second string” Eraab (3.30) who has been gelded since looking as if he needed a return to 7f when fifth at Ffos Las last month. Crowley did ride the selection on his penultimate start and is likely to have had the choice of mounts, but Silvestre De Sousa is an able deputy. Ryan Moore rides Hint Of Grey (5.00) for his father in the finale stepping up to two miles for the first time on the level. The mare has “hinted” that this trip on a sharp track would suit and her draw in stall four is a plus. De Sousa makes the journey from Lingfield to Kempton and rides the Mark Johnston debutant Eesha Lovely (6.00) who wouldn’t have to be anything special to make a winning debut. The market will obviously provide valuable clues as to how precocious the selection – and the Roger Varian newcomer Ideological – is on debut but those with racecourse experience look vulnerable. The champion jockey elect is also aboard Kennocha (6.30) who her best race yet over 7f at Wolverhampton last time and begins handicapping off what looks a fair mark for Amy Murphy. This step up to a mile should suit and a draw in stall three is a plus.